Plantronics Replacement Wireless Headset for W430 W730 is basically a spare or replacement of a Plantronics Savi W730 wireless headset. 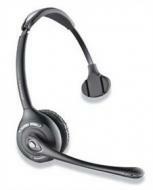 Plantronics Spare Wireless Headset for W430 W730 can be used or specially designed for multi-user conference call/meeting. If yours previously purchased Plantronics Headset was misplaced or broke, so you can get a spare headset to fulfill its place. That is mainly designed for over the head position because it is light in weight and can be worn for whole comfortably. 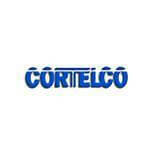 It has the option of three-node connectivity, and it makes you quickly switch from PC to desk phone, and then to mobile call. 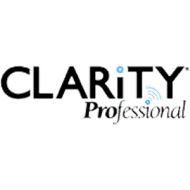 The wireless technology in a headset is intelligently incorporated. 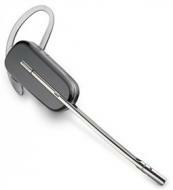 The Plantronics Spare Wireless Headset for W710 is one of the most modern creations from Plantronics. That is the spare headset otherwise if you misplaced or ruined your Plantronics Savi headset. This headset provides up to 350 feet range of wireless area; as a result, you can conveniently attach to your personal computer, desk phone, and cell phone calls just with the help of your Savi W710 support station. 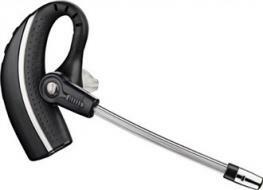 Plantronics Spare headset for W710 handle calls commencing with any linked device up to 350 feet range with a single touch call respond. This method is perfectly designed for combined connections. It is appropriately used in multi-user discussion approach. It is uncomplicated and easy to carry. 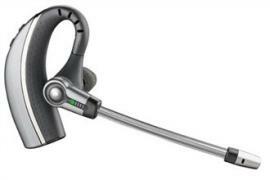 The Plantronics Spare Wireless Headset for W740 is the most recent formation of Plantronics. That is the replacement headset if your Plantronics Savi headset has lost, broken or damaged. That is the genuine spare headset for the Plantronics Savi Wireless W740. Plantronics replacement Wireless Headset W740 has the ability to simply control desk phone, mobile calls, and personal computers and is among the quickest wireless headset structure in the market with high definition Sound. It is the primary headset with the option of a replaceable battery, charging cradle and does not include the base. It is very comfortable to wear and very light in weight and also portable. Plantronics Spare Headset for W740 also has features of a Mute button, volume control, and control button.